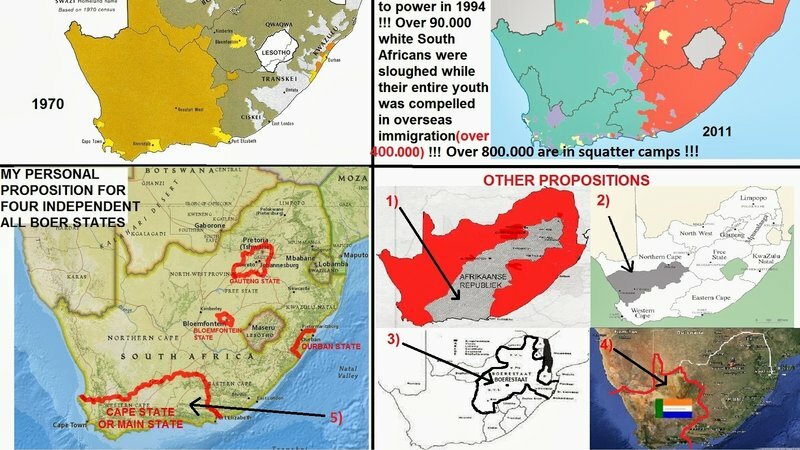 [Here are some maps I found that various people had drawn up in recent years for Whites-only states in South Africa. I began doing my own map-drawing exercise many years ago and my proposal was for a portion of the Cape. But I drew the borders based on one concept only: Military Defense. However there are other proposals. 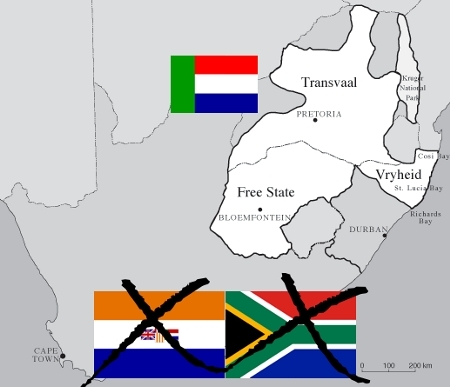 Rest assured NONE of these will see the light of day because the Globalist Powers that be do NOT want to see the whites of Africa arising ever again. ← Jews are such awesome pathological liars on a stage: The Antisemitism bill hearing in the USA! – Saving Israel!